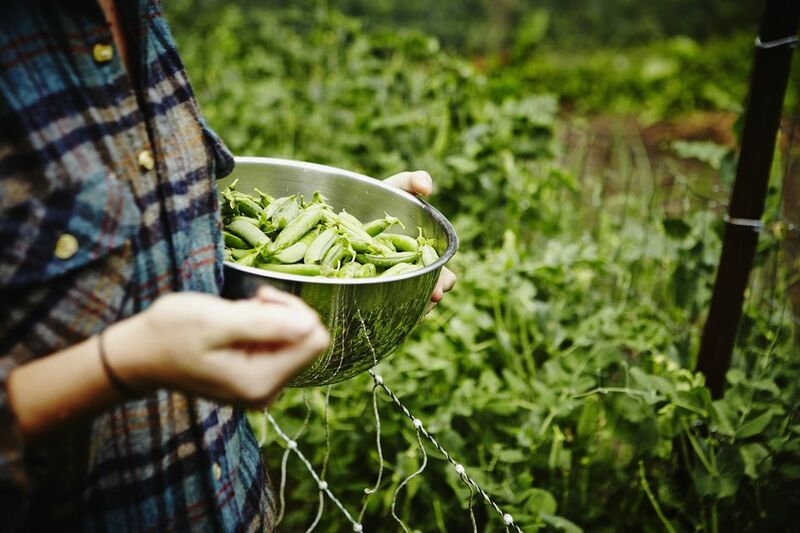 What does it mean to have an organic garden? Does organic gardening mean you have to put up with insects eating your plants or unattractive flower beds? The short answer is that organic gardening means not using synthetic products, including pesticides and fertilizers. Ideally, organic gardening replenishes the resources as it makes use of them. This can be like feeding depleted soil with composted plants or planting legumes to add nitrogen to an area that had been planted with a heavy feeder. The bigger picture involves working in cooperation with nature, viewing your garden as a small part of all the natural system. What Is Meant by Organic Matter? Organic matter is decaying plant and animal waste. It includes everything from compost, grass clipping, dried leaves and kitchen scraps to manures and fish heads. Organic matter is used as a soil amendment or conditioner. It can be worked into the soil of a new garden or used as a top dressing or mulch in an existing garden. What's so Important About the Soil? One of the basic tenants of organic gardening is to "Feed the soil, and the soil will feed the plants." It's really common sense. Plants get water, air, and nutrients from the soil. Clay soil is higher in nutrients than sand and holds water better. Sometimes it holds water too well, and the plants can't get enough air. Sandy soil is well drained but can use some amending to make it excellent garden soil. This is where organic matter comes into play. Adding organic matter improves any soil's texture as well as attracting soil organisms that create nutrients in the soil. How Do You Control Pests and Diseases without Chemicals? Organic gardening doesn't mean you have to share your apples with the worms, but you will probably have less than pristine looking plants and produce. Since you are trying to garden in cooperation with nature, sometimes you have to accept the occasional pest in the garden. Your first line of defense should be vigilance. Inspect your plants regularly for signs of a problem and take action quickly. Keep in mind that not every insect is a foe and that action doesn't necessarily mean pesticide. There are many organic pesticides available, but first, make certain that there is a problem and that you know what it is. You can live with a little damage. Some insects, like the 4-lined plant bug, do their damage and then move on for the season. Consider if you are having a pest problem because your plants are stressed and don't have the resources to defend themselves. Interplanting and diversity will protect you from losing an entire crop to an infestation. Large swaths of a single plant are pretty but are also a landing strip for interested insects. Many insects and larger animals are considered beneficial, preying on the insect pests. Reaching for the spray can every time you see a pest, you will be killing of the beneficials too. Ladybugs and parasitic wasps enjoy an aphid banquet. Birds will munch on grubs. Frogs, lizards and even snakes all contribute to the balance in your garden and prevent a pest population from becoming a problem. Barriers prevent problems. Floating row covers prevent moths from landing and laying eggs. Yellow sticky traps can easily catch dozens of flying pests. Foil collars around the base of plants will foil cutworms and many borers. There will probably come a time when you will need to apply a pesticide or lose your plants. Organic or natural pesticides can be very useful and are usually less toxic to wildlife, pets, and humans than synthetic pesticides. Many organic controls can target specific problems, such as using Bacillus thuringiensis (Bt), a type of bacteria, that kills caterpillars, but not much else. Just be sure that you know what the problem is before you treat it and that you always follow the label instructions. What Else Is Involved in Gardening Cooperatively with Nature? Many elements can contribute to a healthy garden climate. Select plants that are suited to your site conditions. Plants that are happy with their growing conditions will be healthier than plants that are stressed. Stressed plants are very attractive to pests. Don't choose plants that require full sun if you live in a shady woodland. Similarly, don't select plants that like a moist environment if you have sandy soil and lots of sunshine. Mulching your garden beds serves multiple purposes. Mulch suppresses weeds, conserves water, moderates soil temperature, feeds the soil, prevents erosion and is attractive to boot. As mentioned above, create diversity in your garden. A mix of plants will attract more beneficial insects and prevent a problem from spreading throughout your garden. Most importantly, get to know your plants so that you will notice if a problem is manifesting Nature is cyclical and learning the seasonal changes your plant will go through can help you anticipate problems. Organic gardening is a continually evolving dance that allows you to be a full participant in your garden. What Is Organic Matter and What Does It Do for My Garden Soil?